Are you ready to learn how to read tarot cards but don't know where to start? Learning to read tarot cards can be complex, but with the proper guidance, you will be able to learn quite easily. 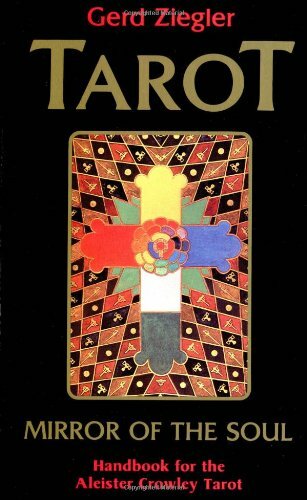 I have compiled a list of my 13 favorite tarot books I used to learn to read tarot cards. These books make it super easy to learn the basics of tarot card reading. 8. WTF is Tarot? : ...& How Do I Do It? 11. The Easiest Way to Learn the Tarot - Ever!! Biddy Tarot founder Brigit Esselmont has penned one of the most comprehensive Tarot guides yet, suitable for both beginner and pro alike. A practical guide to each Tarot card's meaning–upright and reverse–and the possible spreads in which to use them, this is the perfect companion for the no-nonsense Tarot enthusiast. Much like her universally celebrated website, The Ultimate Guide to Tarot unlocks the Tarot's secrets and makes them accessible to all. Practical Tarot reading tools needn't come at the cost of an eye-catching and pleasant learning experience, and The Ultimate Guide to Tarot awards the reader both in spades. Exploring the ancient lineage of the Tarot as well as providing all the major card layouts such as the Celtic Cross and Horseshoe, and even a mini-layout for the major arcana, this is truly an all-in-one Tarot introduction. One's first encounter with the Tarot can be a daunting experience, and Learning the Tarot author Joan Bunning starts off simple and gradually builds to more advanced spreads and translations. 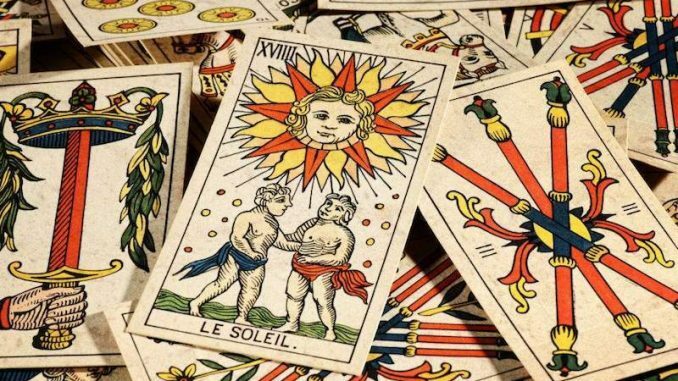 As many can attest, understanding and retaining each card's meaning can be the hardest aspect of learning the Tarot, and special care is made in this particular area. Learning the Tarot assists the novice reader in building a “story” around each spread, and even provides an extensive reference guide for each card. Ideal for both beginner and pro, Holistic Tarot takes a different approach to the art of Tarot reading, encouraging the reader to trust their intuition when it comes to interpreting the cards and their various spreads. Refreshingly easy to use and just as engaging, Holistic Tarot puts creativity and insight before the more stifling educational approach. With emphasis placed on the organic value of the Tarot as a guide for personal growth, this indispensable text explores the Tarot's historical origins while shedding a more modern light on its possibilities. Witchcraft and Tarot have always gone hand-in-hand, and The Modern Witchcraft Book of Tarot invites the reader to explore the magical side of Tarot, as well as modern witchcraft, while learning to read the cards. With a plethora of inviting quotes, easy-to-read charts, and overall engaging language, this is the consummate companion for the aspiring witchy Tarot reader. A classic of its genre, Tarot for Your Self revolutionized the world of Tarot by demystifying the cards and welcoming any and all to adapt them for personal use. More than just a Tarot guide, this 2nd Edition contains all manner of tools and implements for personal enrichment, from poetry to mythology to metaphysics, providing a complete–and deservedly legendary–Tarot education. The world's most popular Tarot deck now has a companion guide to complete and perfect the Rider Waite experience. Johannes Fiebig and Evelin Burger detail each card's symbolism, as well as explore the many themes behind each spread, from romance to career success, as well as messages for day-to-day abundance. The Ultimate Guide to the Rider Waite additionally provides fascinating bits of fact & lore, tips for a better reading, and multiple suit interpretations. 8. WTF is Tarot? : …& How Do I Do It? This straightforward and frankly refreshing approach draws from the belief that the tools of Tarot lie within the reader, and not at some higher authority's behest. Funny and practical at the same time, WTF is Tarot? walks (or rather merrily dances) the reader through the tricky foundations of Tarot divination with helpful analogies and anecdotes, as well as insights into chakra balancing, crystal healing, and meditation as a means to enhance one's Tarot powers. Practicing witch Bakara Wintner spices up the Tarot with a little magic and mischief, proving that even ancient practices can be as fun as they are informative. Author and Tarot practitioner of over 40 years Rachel Pollack invites the reader to share in her experiences and insights to get on the fast track to Tarot divination. 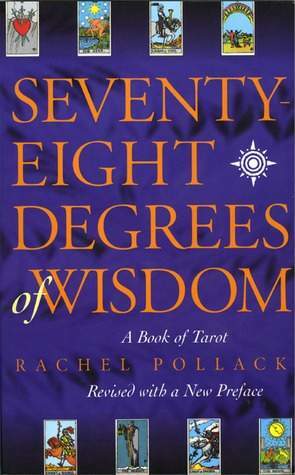 Employing a direct and no-frills approach to the Tarot suits and their multiple meanings, Pollack nonetheless engages her readers with additional knowledge and facts pertaining to astrology, the Kabbalah, numerology, and the lasting gifts of Eden Gray. Like any great Tarot aficionado, Pollack teaches her Tarot contemporaries to approach the cards as individuals, applying their own unique perspectives and instincts to each symbolic card. Undoubtedly the bad boy of the Occult, Aleister Crowley nonetheless heralded magic into the 20th century, opening doors few had thought possible before, which naturally included the sacred Tarot. Tarot: Mirror of the Soul invites the reader to apply one's inner reality and insights to each card and arching spread meaning, rather than follow any set-in-stone rules. Mr. Crowley would certainly have approved. 11. The Easiest Way to Learn the Tarot – Ever!! If you're looking to master the Tarot with ease and speed, this is the guide for you. Just as the title promises, The Easiest Way to Learn the Tarot lays out all the spreads and card meanings in a fast but equally fun manner, with a workbook approach to individual interpretation. 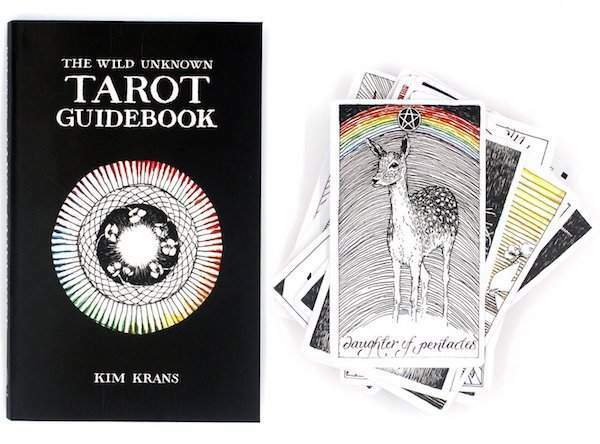 As much a work of art as definitive Tarot guide, the immensely popular Wild Unknown invites the reader to explore and interpret their own unique place in the world of Tarot. From the beautifully designed deck to the poignantly helpful companion book, this newly available collector's set makes the perfect gift for a loved one or one's self. Personal growth is emphasized in this thoughtful guide to not only discovering the Tarot, but implementing it into one's daily life. Often cited as a landmark text in the reemergence of modern Tarot, Seventy-Eight Degrees explores each card's multicultural symbolism and mythology, providing the reader with a wealth of knowledge in which to base their own independent Tarot foundation. 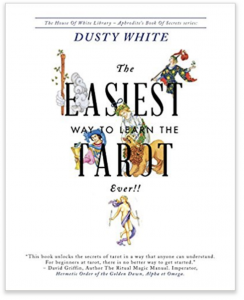 Do you have a favorite tarot book that helped you learn to read tarot cards? Share in the comments! What Is a Psychic Tarot Card Reading?